Ghanaian rapper, Michael Owusu Addo a.k.a. 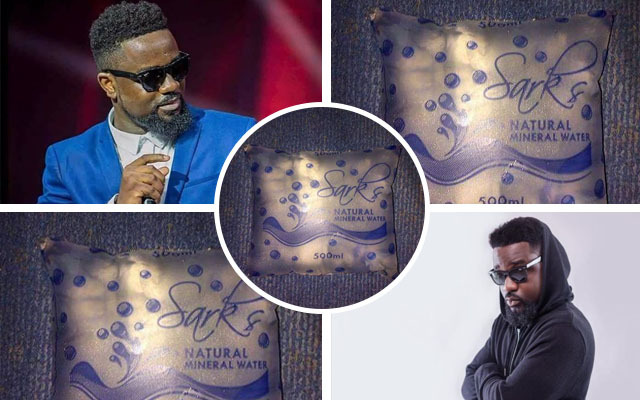 Sarkodie is alleged to have ventured into the hospitality business, hence, launched his sachet drinking water. Named ‘Sark Natural Mineral Water’, the top notch rapper is hopeful of gaining market for his newly launched drinking water. The water comes in both bottled and sachet forms so that every Ghanaian can afford to buy one depending on the individual’s status. Photos or posters of ‘Sark Natural Mineral Water’ has popped up on social media and receiving massive trends.